Get it done Quickly - Get it done Right! Why Should You Choose Us for Your Home Performance Energy Audit? I'm sure many of you have seen home energy audits advertised for free, or maybe for a low price of $99. Yes, it does look attractive, especially in this economy. We are all looking for the best deal we can get. Remember the old saying, "You get what you pay for"? It applies to energy audits also. The companies making these claims have a product to sell you. Some of us need these products, but we want to purchase them on our terms. If you are looking for an honest opinion from a Home Energy Professional who is not selling a product, you have come to the right place. 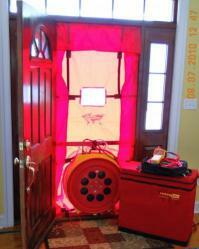 The Blower Door test will reveal the amount of air that is leaking into/out of your house. The Duct Leakage Tester will show us how much conditioned air is leaking out of your forced-air duct system. into energy-analyzing software and provide you with a comprehensive, unbiased and completely detailed report of how your home is performing. We will also provide you with a list of recommendations, most of which you can do yourself, of what can be done to improve your home's energy efficiency, which in turn will bring down your utility bills, reduce waste, make your home more comfortable and increase its value. Our goal is to find where the problems are in your home and provide you with a plan to correct them. We are committed to giving you the best possible service, the most detailed reports and ongoing energy-related consultation. The best part about choosing Home Efficiency Solutions as is often the case, your Home Performance Energy Audit will pay for itself within a year, if you are committed to making the recommended energy improvements. So if you're tired of high utility bills, cold rooms in your home and wondering where that draft is coming from, don't put it off any longer. Give us a call to set up your Home Performance Energy Audit or just to ask some questions. You won't be disappointed. New or old, all houses have issues. They have problems in their construction that waste energy, affect comfort and expedite deterioration. Older homes constructed years ago were not built with energy efficiency in mind, much less health. Most of them had no insulation, or very little. Many contain hazardous materials such as asbestos, lead and vermiculite to this day. A perception exists among consumers that all new homes are energy efficient. Most have been built to the minimum, which is all the building code requires. Insulation is installed in a sloppy manner, with voids and compression which lowers R-values. In some areas of these homes, there is no insulation at all. Windows, doors and HVAC ductwork leak air. Supply and return ductwork is not properly constructed. Many systems have "panned" returns, which use the framing cavity as part of the return duct system. These are very leaky and do not allow your system to properly pressurize. Maybe your home has a brick facing, hardboard siding, stucco, stone, vinyl siding, cement siding, etc. It doesn't matter. The majority have a wood frame, but they all leak air. They leak in areas that were over-looked in the past. The band board (where framing meets foundation) is another area of air leakage. Air, along with any existing outdoor pollutants, is drawn in the house here as well as around old basement windows and vents. The air is then drawn through the home and up through areas such as around recessed lights, attic hatches, around chimneys, etc. You see, your house has what is called "stack effect". It acts like a chimney. The taller the house, the larger the effect. When the leaks around the lower portion of the house are found and sealed, the less air will leak at the top of the house. So here are some questions for you - Are you tired of paying high utility bills? Are you wondering why your bills are so much higher than your neighbor's? Do you know where that draft is coming from? Did you purchase a home without having an energy audit done first? Are you frustrated because the comfort level of your home does not seem balanced? If you are able to make your home, the most important financial investment you will ever make, more energy efficient, healthy and comfortable, why not? Give me a call and I can find exactly where the air leakage and inefficiencies are and discuss with you how they can be corrected. This survey is a visual inspection of the energy features of your home and documentation of its general condition, including envelope features and ages, equipment types, characteristics and ages, and, appliance and lighting characteristics. Where available, this evaluation shall include a review of utility use and billing history. The Diagnostic Home Energy Evaluation requires the use of a Blower Door (tests the leakiness of the house), Duct Leakage test (tests the leakiness of the forced air duct system,when applicable), an Infrared Camera or other test equipment. Home Efficiency Solutions is your local ENERGY STAR® and HERS Index home Third Party Verifier. 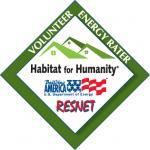 A home energy rating involves an analysis of a home’s construction plans (i.e. new construction or gut rehab only) and onsite inspections. 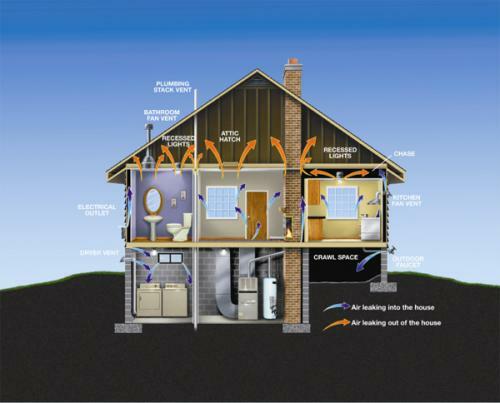 Based on the home’s plans, the Home Energy Rater uses an energy efficiency software package to perform an energy analysis of the home’s design. This analysis yields a projected, pre-construction HERS Index. Upon completion of the plan review, the rater will work with the builder to identify the energy efficiency improvements needed to ensure the house will meet ENERGY STAR performance guidelines. The rater then conducts onsite inspections, typically including a blower door test (to test the leakiness of the house) and a duct test (to test the leakiness of the duct system). Results of these tests, along with inputs derived from the plan review, are used to generate the HERS Index score for the home. We are proud to provide rating services to qualify new homes for the ENERGY STAR label. ENERGY STAR qualified new homes are substantially more energy efficient than homes built to the minimum code requirements. Even in states with more rigorous energy codes, the U.S. EPA ensures that ENERGY STAR remains the symbol for truly energy-efficient performance. These homes are good for businesses, consumers, and the environment. Projected ratings - Ratings performed prior to the construction of a home or prior to the installation of energy improvements to an existing home. Confirmed ratings - Ratings completed using data gathered from an on-site inspection, which could include performance testing of the home. Home Efficiency Solutions is a proud partner of ENERGY STAR. Learn more about ENERGY STAR qualified new homes at the links below. PLEASE REDUCE, REUSE & RECYCLE. THERE IS NO EXCUSE NOT TO.